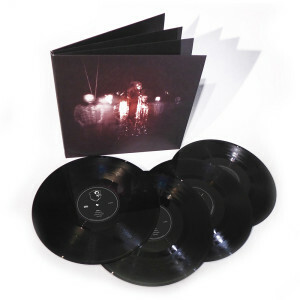 My Morning Jacket has re-issued 2003’s It Still Moves remixed and remastered as a special deluxe package with new artwork and exclusive photos. It includes frontman Jim James’ ten original demos plus three unheard tracks from the original sessions. With the help of the band’s longtime friend Kevin Ratterman behind the mixing desk, James revisited and tweaked all the old material. Remastered by Bob Ludwig at Gateway Mastering, this new version still has that shimmering grandeur that lent it such a singular identity, but there is an increased strength and clarity to it now. “Everybody can relate to something they've done in their life where you didn't know it at the time, but you were rushed through finishing it,” James said. He cites the band's aggressive touring schedule as a reason behind them leaving the album somehow unfinished.